The Shires is proud to have been awarded the nationwide ParkMark Safer Parking award, ensuring shoppers have a car park which is safe and problem free. Parent and toddler parking spaces are available adjacent to Asda supermarket. 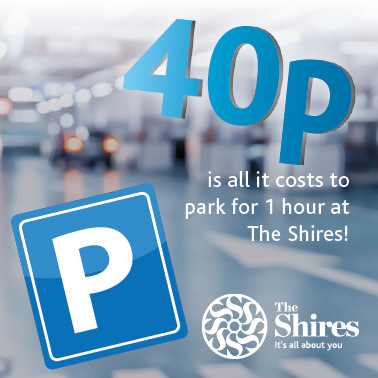 The Shires has been awarded the nationwide ParkMark Safer Parking award, ensuring shoppers have a car park which is safe and problem free.